Have you ever purchased an expensive piece of technology only to find you just didn’t like it? If so, then you’ll probably know that some companies will use all sorts of reasons to deny you a refund: you’ve had it too long, there’s nothing wrong with it, we suspect you may be a former Middle Eastern dictator who was executed in 2006. While that last excuse may sound unlikely, Apple actually used it on a customer trying to return an iPhone 7. Sharakat Hussain, from Birmingham, UK, bought the latest handset for his sister. It turns out she wasn’t a fan, so her brother tried to get his money back. Hussain was initially told that he would receive a refund, but a few weeks later the inevitable happened. 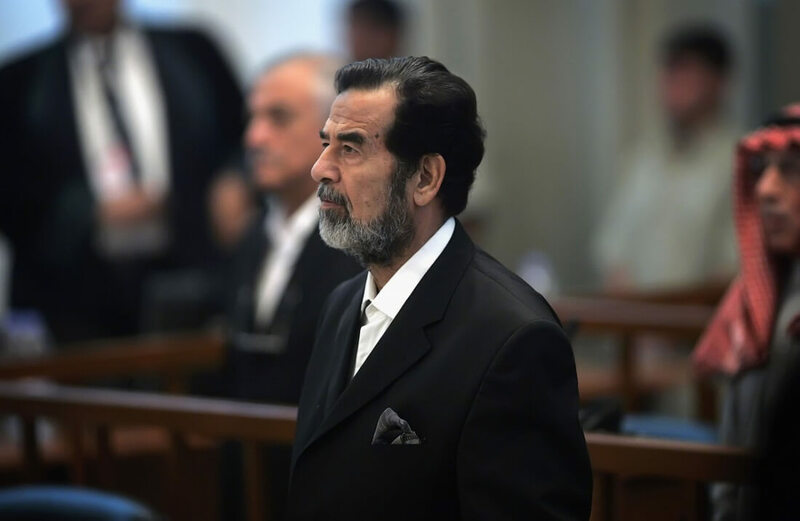 He received an email from Apple asking for confirmation that he wasn’t ex-Iraqi President Saddam Hussein, who, apart from the small matter of being dead for the last ten years, has a name that uses a different spelling and pronunciation. Hussain naturally assumed it was spam, but further investigation revealed that it was genuine. “I thought the email was spam and was stunned to learn it was real. I was furious being linked to Saddam,” he told the Sun. The process was triggered by a requirement to check large refunds against the international sanctions list, but human error resulted in Hussain’s name being mistaken for the deceased despot’s. Thankfully, Apple realized the mistake before asking the UK driver if he orchestrated the invasion of Iran ten years before he was born. "We offer our sincerest apologies to Mr Hussain. Though we are required to check identity while processing a refund, the letter he received was an error and should not have been sent," An Apple spokesperson told The Independent. Hussain eventually got his refund, but the story should serve as a warning to anyone unhappy with their iPhone whose last name is Hitlerr.